Betrayal began in the Garden of Eden. Actually, technically speaking, betrayal began in the angelic realm first—when Lucifer rebelled against God, and took an army of angels with him. Lucifer, the most glorious of all the angels whom God created, became prideful and fell. He betrayed God. Betrayed his Creator. So his name was changed to Satan. Lucifer, the bearer of light, became Satan, the prince of darkness. In the beginning, God created the heavens and the earth. He filled them with all good things. Then God created man and woman in His image. He commanded them to be fruitful and multiply. And He planted them in the garden to care for it and keep it. There in the garden God walked with man and woman in perfect harmony of relationship. But someone else was in the garden, too. An intruder entered the picture. Satan, the deceiver, the enemy of God moved in closer. He deceived Adam and Eve. They listened to his lies, failed to resist temptation, and sinned. Man’s relationship with God changed forever. It went from peace and joy to separation and sorrow. But God. But God made a sacrifice and took care of their sin. He restored them. And then God gave a promise, hidden in the curse. The devil, man, and woman would all feel the effects of the curse. However, there would one day come the promised Child. The One who would defeat the devil. Knowing this, the devil has been working ever since then to destroy the genetic line of Messiah. He failed to prevent the birth of the Messiah. Failed to murder him when he was an infant. Thought he had destroyed him at the crucifixion. But the devil failed there too. Now, just as he did in the garden, the Great Dragon, Beelzebul, the ruler of this world, the prince of the power of the air, the evil one, and the adversary…does everything in his limited power to oppose the work of God, and destroy those who love Jesus. And betrayal is one of his favorite tactics. The treacherous exposing or deceiving of people by those they formerly trusted. It is usually associated with an enemy masquerading as a friend. Consider some examples from the Bible after Lucifer in heaven, and Adam and Eve in the garden. Joseph was betrayed by his brothers (Genesis 37:12-36). Samson was betrayed by Delilah (Judges 16:18). The prophet Jeremiah was betrayed by those closest to him (Jeremiah 12:6). The Old Testament books of Kings and Chronicles provide countless examples of people who were murdered through betrayal. It is not uncommon for leaders to be betrayed. David was betrayed by Saul (1 Samuel 18:17), and a host of others. The apostle Paul was betrayed, too. And there are so many more examples of betrayal that I could mention. What makes betrayal so painful is that it involves someone with whom you have a close relationship, someone you trusted. David writes in Psalm 41:9 Even my close friend in whom I trusted, who ate my bread, has lifted his heel against me. In John 13, which we looked at last week, Jesus quotes this verse and applies it to Judas. The most horrific betrayal of all; however, is the betrayal of the Son of God. It is the worst betrayal in the history of the universe. The very first betrayal of God was induced by Satan. So is this one. Last week, we saw how Satan “put it into the heart” of Judas to betray Jesus. Of course, this does not mean that Judas was not personally responsible for his betrayal of Jesus. He was totally responsible. This is just making it clear, once again, that the devil is the author of betrayal. All four Gospels give some attention to the ultimate betrayal of Judas. Mark 14:32-52 is the one we sat under last Sunday morning. Jesus, the Son of God, was betrayed by Judas. 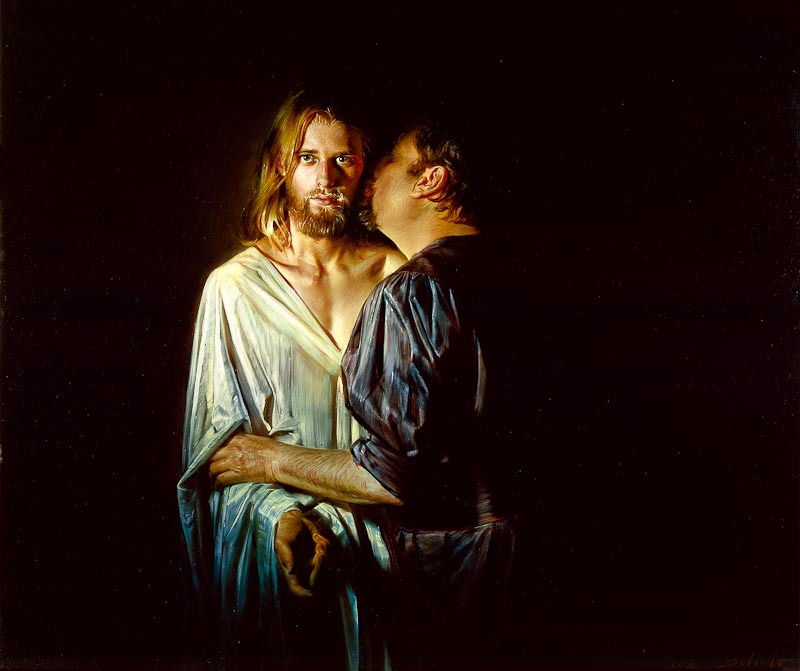 Moved by Satanic influence, Judas sold out Jesus to His enemies. But perhaps you wonder how this really applies to you. There are two ways the betrayal of the Jesus applies to you. These are reflective of His role as Savior and Shepherd. Savior – the application is more obvious. Jesus was betrayed as part of God’s larger plan to bring about good—to fulfill the plan of redemption. It was predicted by the prophets. It was necessary. The betrayal of Christ was a triumph in the devil’s eyes. But Satan fooled himself into thinking he had won the war which he began in the first garden. Betrayal is what he used to take Jesus to His death. But it was the death of Christ which broke the devil’s back. It was the victorious resurrection of Jesus to life, which led to the defeat of Satan. The power of Satan’s influence is connected to sin. When sin was conquered by the death and resurrection of Jesus, the devil was crippled forever. So, without the betrayal, you would not have the Savior. But there is a less obvious application for you, as well. This comes out in His role as Shepherd. Jesus is the Good Shepherd who was once attacked and devoured by wolves. He knows betrayal. He knows what it feels like. Therefore, He can shepherd you through your own experiences. I don’t know what betrayal looks like in your life. I don’t know who your betrayers have been. Perhaps it’s a friend or co-worker. Perhaps a co-laborer in the work of Christian ministry, or a church leader. Perhaps it was a family member. A spouse, parent, or child. Most people have experienced betrayal in some form. Because of the wickedness of man’s heart, and the insidious, deceitful ways of Satan, betrayal is common. In Jesus, you have a compassionate Shepherd. A priest who understands your pain (Hebrews 4:14-16). No matter what your betrayal experience looks like, there is one who understands. There is one who is able to bring good even out of something so wicked. Run to Him with your pain, your hurt, your confusion. He understands.